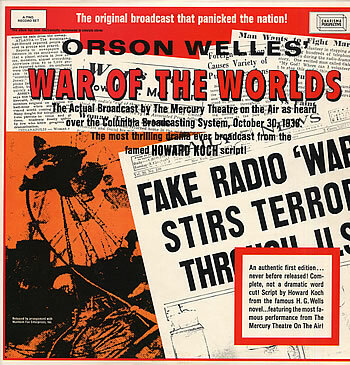 On October 30, 1938, thousands of Americans were set into a panic by a broadcast of CBS radio’s Mercury Theater on the Air, Orson Welles’ famous War of the Worlds broadcast, which purported to describe an invasion of Martians in New Jersey and their incineration of the people in their path. The day after the event, Herta Herzog began interviewing listeners about their reactions to the show. 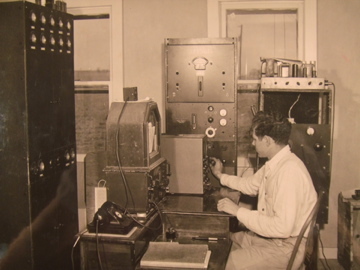 Based on those conversations, the Princeton Radio Project—a predecessor of Paul Lazarsfeld’s Office of Radio Research—launched a study of this episode in what they called “mass behavior.” Under the direction of Princeton psychologist Hadley Cantril, Herzog, Hazel Gaudet, and four interviewers tried to understand the potential power of the new mass medium of radio. Their efforts culminated in The Invasion from Mars (1940), a classic study that refined understanding of social and psychological factors that shape the ways audience respond to mass media. Cantril, Hadley, Hazel Gaudet, and Herta Herzog. The Invasion from Mars: A Study in the Psychology of Panic. Princeton University Press, 1940; rpt. by Harper & Row, 1966. The presidential election contest of 1940 unfolded against the crisis of war in Europe—Germany invading Norway, Denmark France, Belgium, and the Netherlands—and the question at home as to whether President Franklin Roosevelt would seek an unprecedented third term in office. In that context, and funded by grants from the Rockefeller Foundation, Life magazine, and the pollster Elmo Roper, Columbia’s Office of Radio Research conducted a new kind of study of voting. It was based on a panel study of 2,400 voters in Erie County, Ohio, which lay between Cleveland and Toledo and including the small city of Sandusky. Paul Lazarsfeld, Bernard Berelson, and Hazel Gaudet oversaw a team of 15 local interviewers (chiefly women) who from May through October interviewed the carefully chosen 2,400 citizens on multiple occasions as a way of tracking their decision-making during the campaign, and factors that influenced it. Beyond showing the value of panel studies in understanding public opinion formation, the book that arose from the study, The People’s Choice, introduced the highly influential paradigm of “the two-step flow of communications,” which later came to be associated with the so-called “limited effects model” of mass media: the idea that ideas often flow from radio and print to local “opinion leaders” who in turn pass them on to less politically active sections of the population (151). The findings suggested that face-to-face influences are in some ways more effective than political campaign messages distributed through other media, an idea developed further in the book Personal Influence. Paul F., Lazarsfeld, Bernard Berelson, and Hazel Gaudet. The People's Choice: How the Voter Makes Up His Mind in a Presidential Campaign. Duell Sloan, 1944; 3rd ed. published by Columbia University Press, 1968. 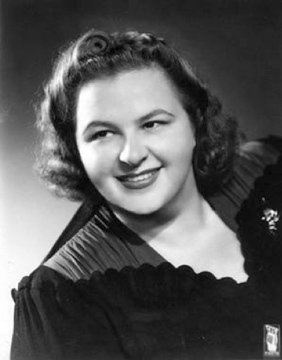 On September 21, 1943, Kate Smith, perhaps the most popular entertainer in America, launched an 18-hour marathon on the CBS radio network to sell war bonds—issued by the government to help fund its involvement in World War II. An icon of American patriotism and sincerity known for her singing of “God Bless America,” she was enormously effective in all-day campaign. With funds from CBS, Robert K. Merton and a team of Office of Radio Research associates that included Joan Doris Goldhamer set off on a study of the listeners who had responded as a means of understanding Smith’s effectiveness. The project grew into a wider-ranging account of the media event within the contexts of American culture at the time—war, economic crisis, and celebrity. Using focused interviews, content analysis, and surveys, the research team probed for meanings and dispositions that shaped the radio broadcast for those who had heard it. The result was another classic from the era, Mass Persuasion. Robert K. Merton, with Marjorie Fiske, and Alberta Curtis. Mass Persuasion: The Social Psychology of a War Bond Drive. Harper and Brothers, 1946; rpt. with a new Introduction by Peter Simonson, Howard Fertig Publishers, 2004. In 1944, the newly renamed Bureau of Applied Social Research received a grant after Paul Lazarsfeld had alerted Macfadden (of McFadden Publications) to the findings of The People’s Choice, which suggested that opinion leaders were found in all social strata of the population, and that they often spread ideas they came into contact with in print and other mass media. Macfadden saw a way to convince its advertisers of this multiplier effect and the commercial value of their less educated female audience. Lazarsfeld saw a way to learn more about patterns of social influence . Out of this came perhaps the most famous study conducted by the Bureau—of 800 women in Decatur, Illinois, using panel interviews to determine who and what influenced their decision making. Lazarsfeld and Robert Merton hired the rising star in sociology C. Wright Mills, and he was put in charge of the study, working among others with Thelma Ehrlich Anderson, who in the summer of 1945 trained local Decatur women to administer surveys to targeted women in town. 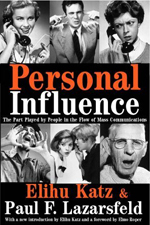 More than a decade later—and after a dramatic break between Lazarsfeld and Mills—the Decatur study would be published as part of Elihu Katz and Lazarsfeld’s classic Personal Influence, a book that would argue that media influence was less powerful than face-to-face contacts, and that solidified the two-step flow model of communication (from media to opinion leaders, and then to those they influenced). Elihu Katz and Paul F. Lazarsfeld, Personal Influence. Free Press, 1955, rpt. with a new Introduction by Katz, Transaction Publishers, 2006. “Politics, Social Networks, and the History of Mass Communications Research: Rereading Personal Influence,” Annals of the American Academy of Political and Social Science, Vol. 608 (2006). 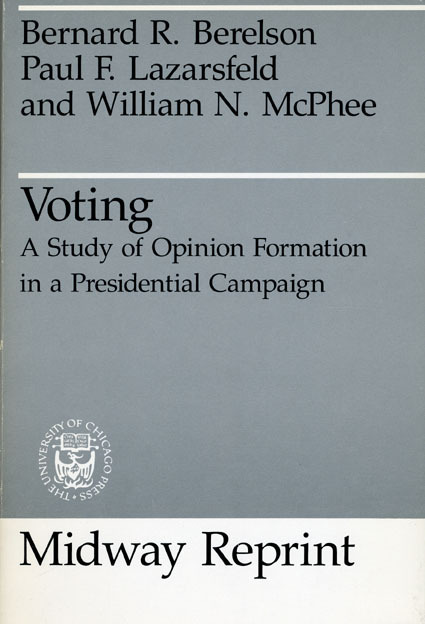 Bernard Berelson, Paul F. Lazarsfeld, and William N. McPhee, Voting: A Study of Opinion Formation in a Presidential Campaign (University of Chicago Press, 1954).